INVESTOR ALERT! Direct Ocean and Boardwalk Front 3 bedroom 2 full bath, never rented condo between 20th-21st streets. This top floor end unit, with Southern exposure allows you to enjoy the glorious sunrises and breathtaking sunsets that Ocean City is known for. Large oceanfront living area to enjoy as well as a balcony. LOCATION LOCATION LOCATION! Right on the beach, close to many restaurants, tons of entertainment and shopping. You can virtually park your car and never use it until you head back home. Great rental potential. 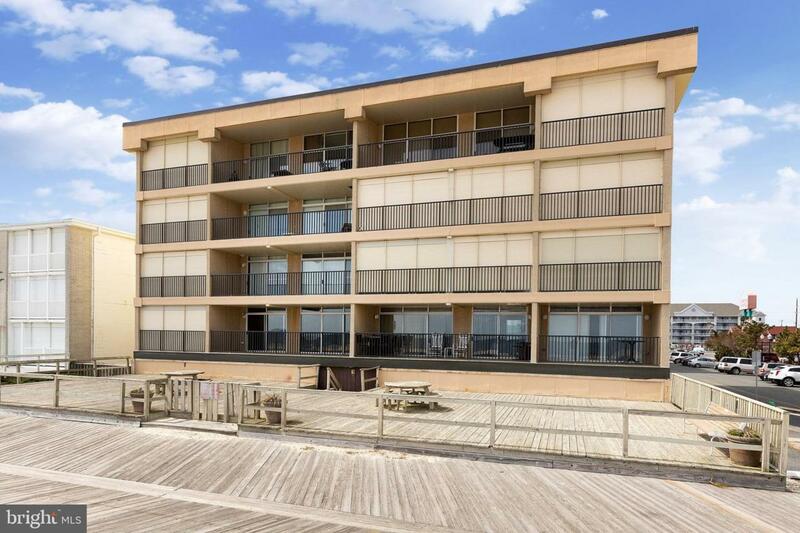 Just north of the Times Square of Ocean City, on the quiet part of the Boardwalk, this unit has the potential to bring in excess of $40,000 in rental revenue a year. Elevator assists with ease of access.